A daily search for genuine and natural ingredients, the careful selection of raw materials, along with a true passion, give impetus and substance to the philosophy of Primos Restaurant at the Green Hotel. 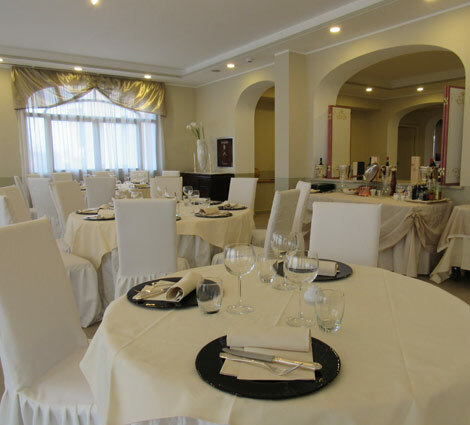 Primos Restaurant serves both typical regional dishes and classic Italian cuisine. Rediscovering and reviving lost flavours, has always been the vocation of our Chef, a solid cuisine tempting with the frankness, linearity and balance of all its elements. The warm and charming atmosphere is perfect for lunch, dinner, anniversaries and special occasions, romantic evenings, and for all those who wish to delight the palate. We give priority to zero km food products, a variety of early fruit and vegetables coming from the Piedmont countryside. The mouth-watering desserts are all homemade. Special attention is devoted to our well-stocked wine cellar and outstanding wine list.